Benedict Cumberbatch was born in Hammersmith, London, England, UK, on July 19, 1976, is an English actor. Young Benedict Cumberbatch began his acting career in theatre, at Regent's Park Open Air Theatre. He made his big screen debut in drama film To Kill a King (2003) in role as Royalist. Benedict's breakthrough performance came as Stephen Hawking in BBC television film Hawking (2004). He was nominated for the Academy Award for Best Actor for his role as Alan Turing in historical drama film The Imitation Game (2014) opposite Keira Knightley. He portrayed Dr. Stephen Strange in superhero movies: Doctor Strange (2016), Thor: Ragnarok (2017) and Avengers: Infinity War (2018). He played Sherlock Holmes in BBC crime drama series Sherlock (2010–2017). He married English theatre and opera director Sophie Hunter, on 14 February 2015, they have two sons. He played Patrick Melrose in five-part drama miniseries Patrick Melrose (2018). Benedict's hobbies are skiing, high-speed motorcycling and scuba diving. 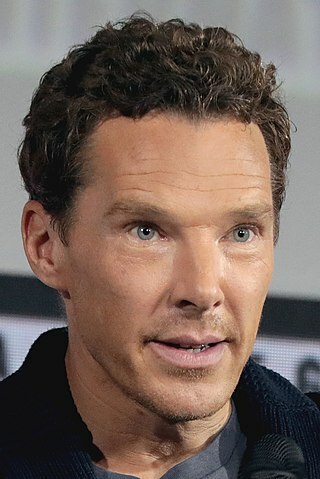 He played characters of Smaug and the Necromancer in The Hobbit film series. Fan of actor Robert Downey Jr.
Best friends with Keira Knightley, James McAvoy and Tom Hardy. I'm a homebody. I love to stay in at night, light a fire, have a whiskey and watch a movie or read a good book. I love theatre, and you learn too much as an actor and enjoy too much of it not to want to go back a lot. New York City is crazy and beautiful and really close to my heart, and I've always had dear friends here - family, actually, I would say. The world of 'Sherlock Holmes' and the world that we live in now is big enough to take more than one interpretation. I was thrilled with how the first series of 'Sherlock' was received. It was such great fun to film, which makes it so rewarding when something you enjoy is so well received. Growing up, my dad read it to me, and it was a real treat, a feast for a child's imagination. He did an amazing Smaug, and hobbits, and Gandalf as well - it's the audiobook that will never exist.